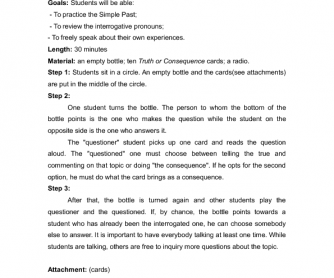 This speaking game is for students to freely talk about their lives and experiences. 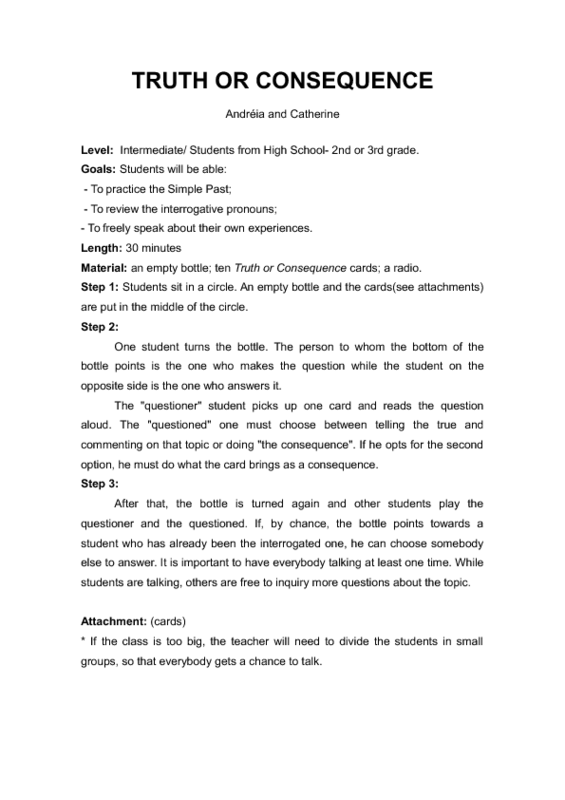 It is based on a game students usually play with an empty bottle. They have to sit in a circle and turn a bottle. The ones at whom the bottle points are the "questioner" and the "questioned". The questions they are supposed to answer are all described in the cards.